Chérie has a general commercial practice with an emphasis on disputes relating to contracts, company law, unlawful competition, trademarks, insolvency, property, building and construction matters and delictual claims. 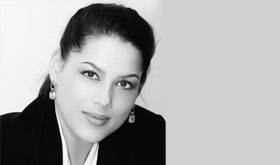 After graduation, Chérie completed her articles and practiced as an attorney at Hofmeyr Herbstein & Gihwala Inc (now Cliffe Dekker Hofmeyr) until the end of 2008 when she was called to the Bar. In 2009 Chérie completed her pupillage at the Johannesburg Bar, where she has since been practicing.